Do you like savings when you shop? Of course you do. That's why this listing exists, to save you $2 without batting an eyelash. 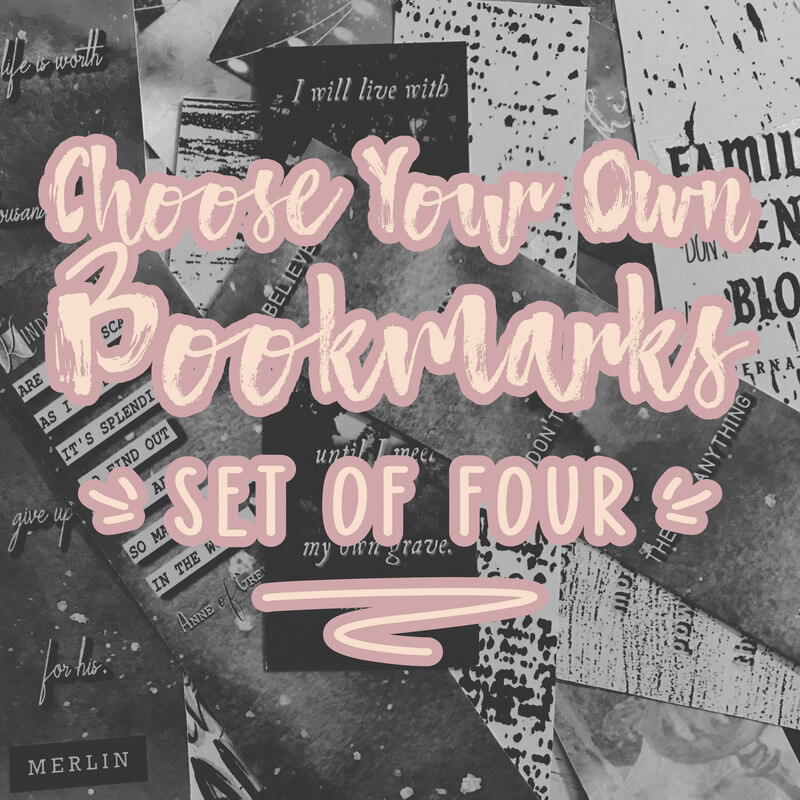 What's the difference between this and choosing the bookmarks individually? Nothing, except with this listing, you save $2. Simple as that. 1) Explore the site 2) Find the four bookmarks you want to choose 3) Type the names of them into the text field in this listing (separated by commas) 4) Add to cart 5) Save $2 automatically! NOTE: Die cuts and customs not eligible for this bargain deal. Upgrades apply to whole set.